Do you ever get in the mood for a warm brownie but don’t feel like baking an entire batch? Maybe you don’t even feel like using the oven? 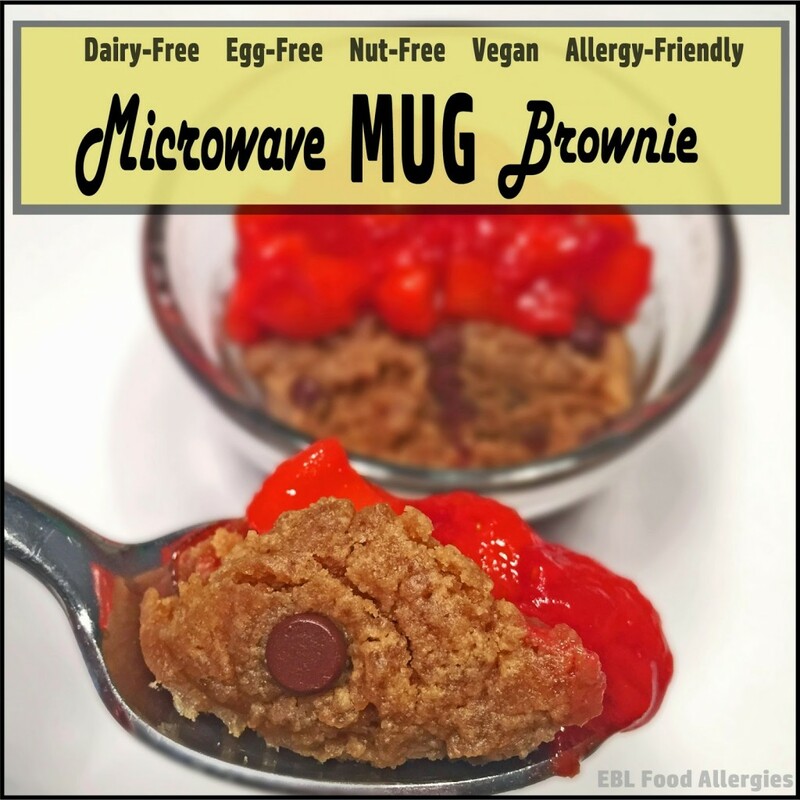 Then this Microwave Mug Brownie recipe is just the thing for you! I took it one step further and added pureed strawberries to the top. YUM! This brownie recipe is dairy-free, soy-free, egg-free, nut-free, allergy-friendly, and vegan. Microwave the Spectrum Shortening inside the mug until melted, about 40 seconds. Mix in white and brown sugar. Mix Egg Replacer and water in a separate cup then add to mixture and stir. Add SunButter and mix until creamy. 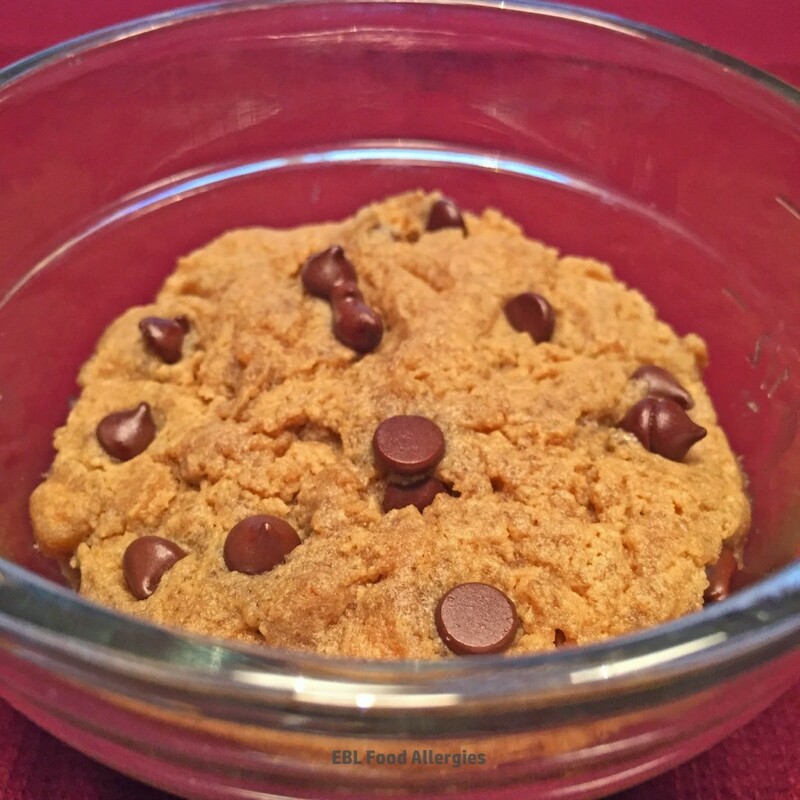 Stir the flour and chocolate chips into the mixture. Microwave for 60 seconds (microwave times vary, please check that it’s done) and allow it to cool for a couple of minutes before eating. Thaw 3 frozen strawberries in the microwave and mash them up using a fork. Pour strawberries on top of the brownie.